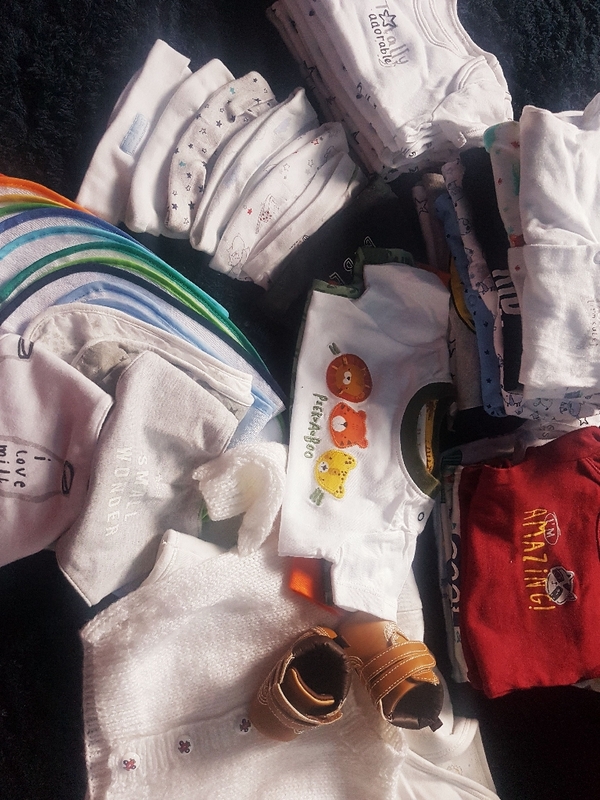 First size and newborn clothes. 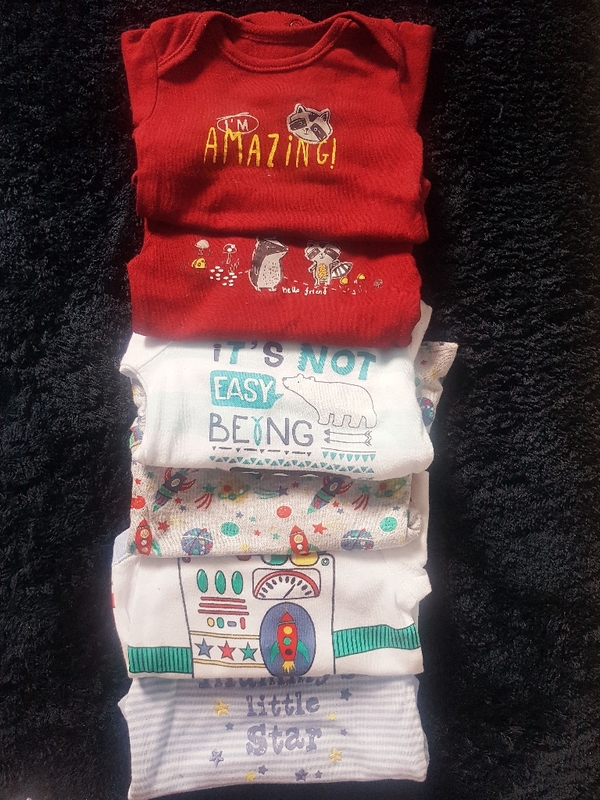 13x baby vests(6x long and 7x short sleeve). 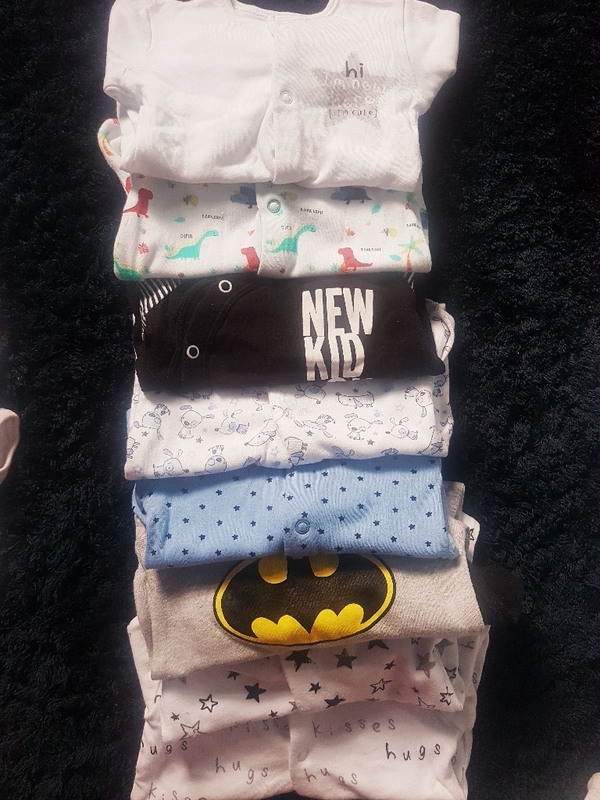 8x baby grows. 3x t-shirts. 7x hats. 18x bibs. Pets and smoke free. In good condition.